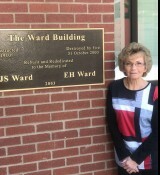 JS Ward and Son has proudly been serving our clients for over 90 years! When we first opened our doors, we began building our business one relationship at a time. We still hold the belief that each and every relationship of ours is the key to our continued success. As an Independent Insurance Agency we represent many different company's and family's insurance needs. We have carefully selected our carrier partners in order to provide you with the best level of SERVICE, PRICE and COVERAGE. As independent insurance agents, we have the ability to choose the best carrier for your insurance needs. We work hard to understand your insurance needs and find the best available coverage for you. Our goal is to service communities throughout the state of New Mexico. 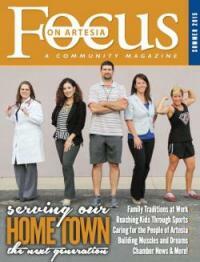 We live in many of the communities we serve with offices in Artesia, Roswell, Carlsbad and Hobbs. This provides us a unique understanding of the insurance needs our communities have and helps us strive to find the best insurance available to meet these needs. We are dedicated to providing our customers in New Mexico with the best coverage at competitive rates. Just make one call to our agency, and we can shop your coverage through many top rated companies. With our professional staff, we can be your liaison with the insurance carrier in the event of a claim. We work for you, not the insurance company. We work hard to ensure you have a positive overall experience with JS Ward and Son. Our one on one service approach is our #1 goal for all our insurance clients. Give us a call at 575-746-2796 or contact us through one of our quote forms, and we'll be happy to answer any of your insurance questions.